Suburbs Mama: My kitchen must haves.. 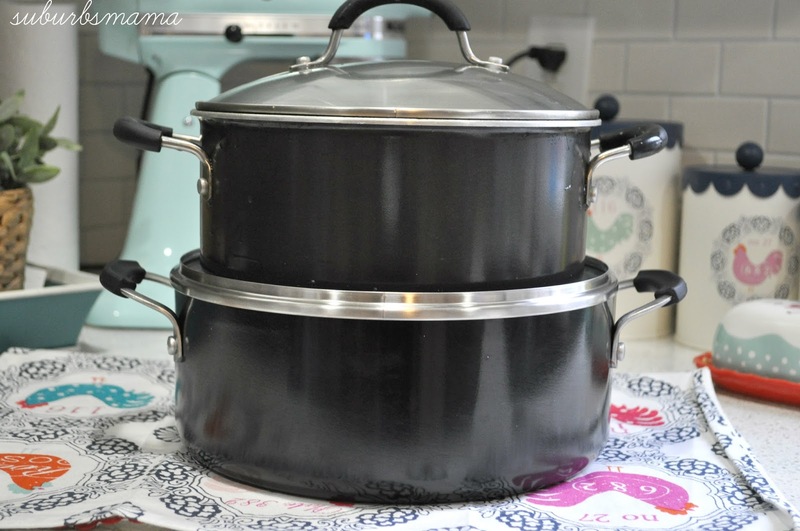 I have been asked to create a blog post on my favorite cookware. I just noticed that a lot of my cookware is Cuisinart. I never realized that, I mostly buy my cookware at Target or Homegoods. I cook a lot, probably more then most average people. I cook/prepare 3 meals a day, I also bake a few times a week. The only time we eat out is on sunday evenings. If I had to start from scratch, and I only had a limited amount of money, these are the items I would get first. A non stick pan is something everyone needs. I have 2 different sizes. I suggest you at least buy a large one. I do have a LODGE heavy cast iron pan, but I always reach for a non stick pans, they are light and easy to clean. Make sure and use wooden or plastic utensils with this pan, because once they get scratched, you want to replace them, because the pan becomes less nonstick and little bits of the coating can start to flake off into your food as you cook. I also have a nonstick square griddle pan, which I have been using more and more lately. I am able to fry three eggs and some sausage at once or make a few grilled cheese sandwiches at a time. 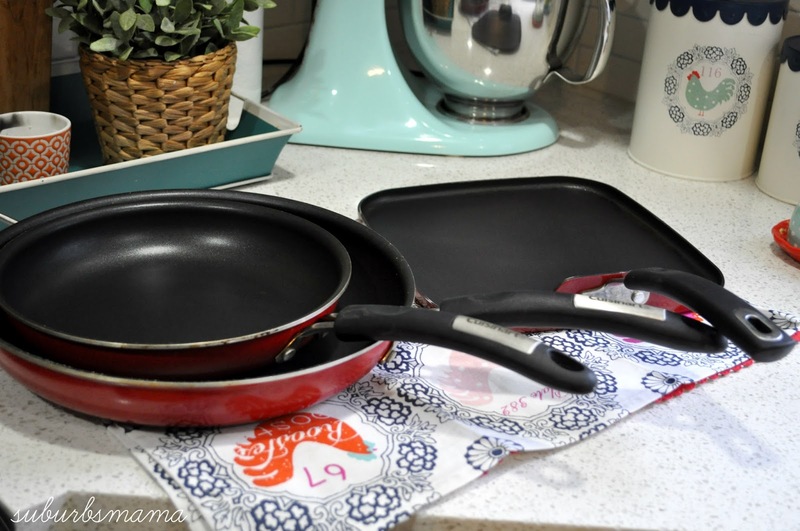 I pick these non stick pans at home goods, I usually make sure they are heavy and sturdy. I end up replacing them about once a year. I bought the large casserole dish from Target about 2 years ago (before that I used a glass one) and I use it all the time. 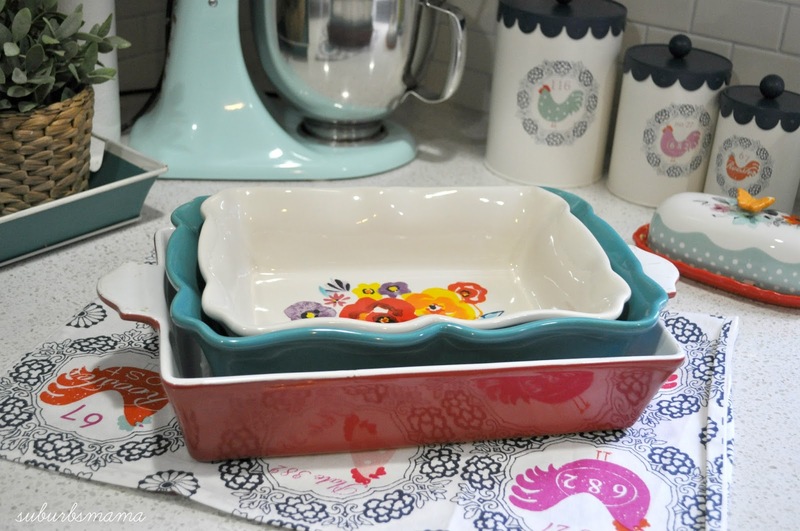 It is great for casseroles, lasagna, cinnamon rolls and so on. The smaller ones are pioneer woman from Walmart, which are great for sides like roasted vegetables. I suggest at least 2 of these cookie sheets. I also bought 2 non stick mats on Amazon and use them all the time. I make cookies, jellyrolls, roast veggies and so on. This is definitely a must for me. I make cakes and cupcakes all the time. I don't really care about the brand, since I line the cupcake pans and always use parchment paper on the bottom of the cake pans to avoid sticking. 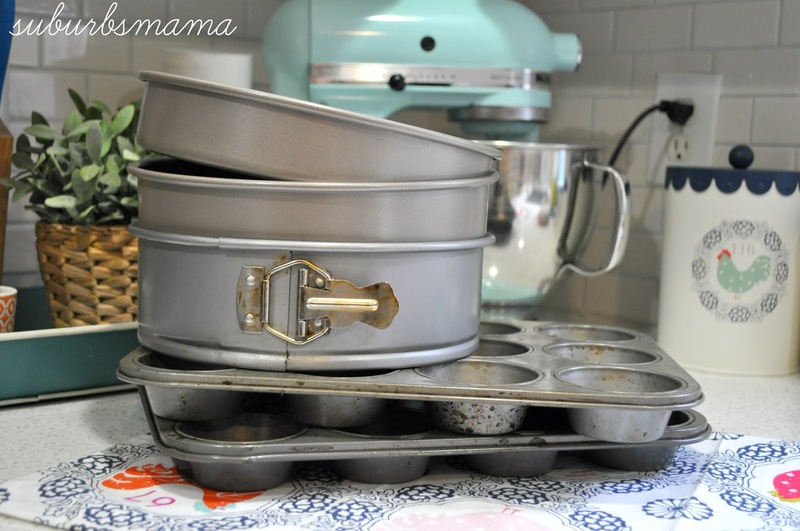 I bought my cake pans and muffin pans at Target a long time ago. The springform pan is very useful for making cheesecakes and sticky buns. I make pies all the time, so this is a must for me. I bought this ceramic one at Target and love it. I suggest at least one large nonstick calphalon pot. 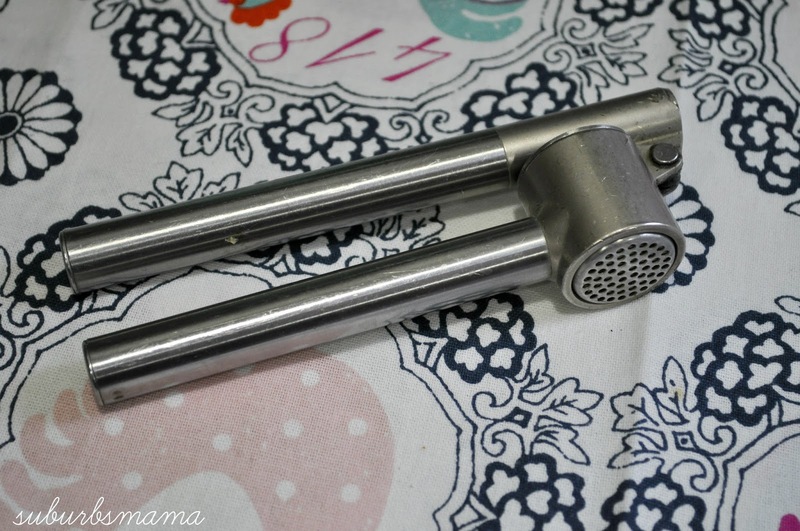 You can use it for cooking pasta, making chicken stock, cooking potatoes and so on. You should also have a smaller pot, for example you are making spaghetti sauce in one, and then cook the pasta in another one. This is a must. I put garlic in almost everything I cook. I bought mine at IKEA about 5 years ago for less then $4 and it is still working great. 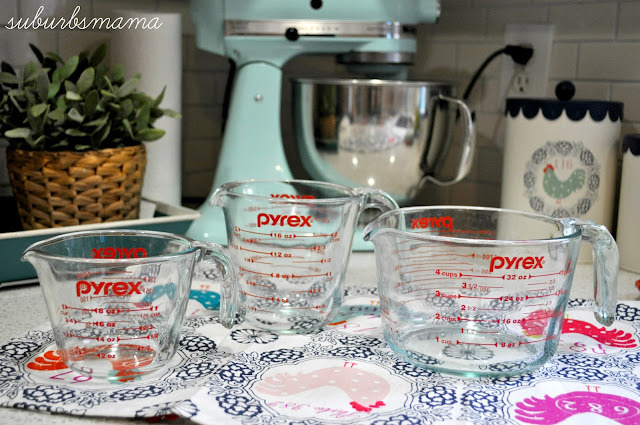 I suggest that you skip small stackable measuring cups and go with glass ones. I have these three and use them all the time. Not only for measuring, but also for mixing. 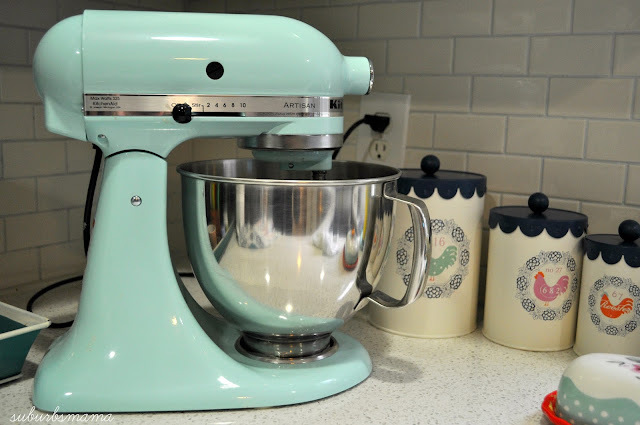 This is a must in my kitchen, It really saves me so much time. I use the grater attachment to grate squash, potatoes, cheese. It only takes seconds. 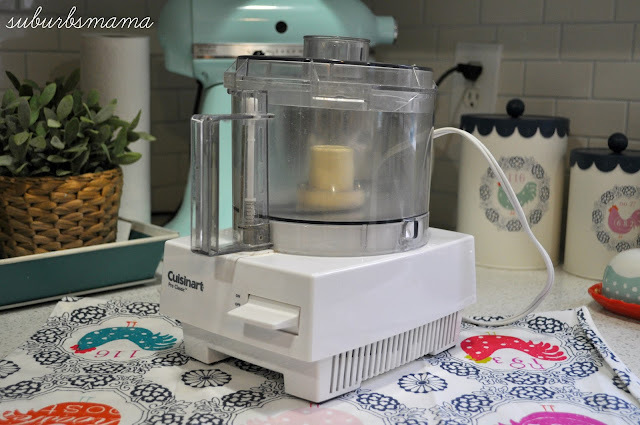 I use the food processor to make pie crusts, chop nuts, graham crackers. This is the one I have. I can not live without my stand mixer. I use it a few times a week. 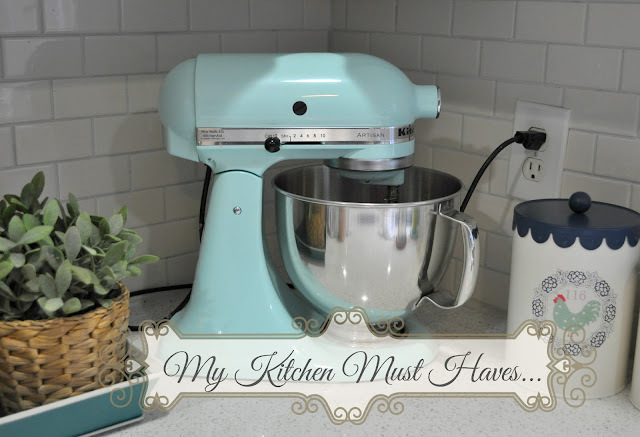 I use it for baking, mashed potatoes, mixing ground meat together, and I also use the grinder attachment to grind my own meat. 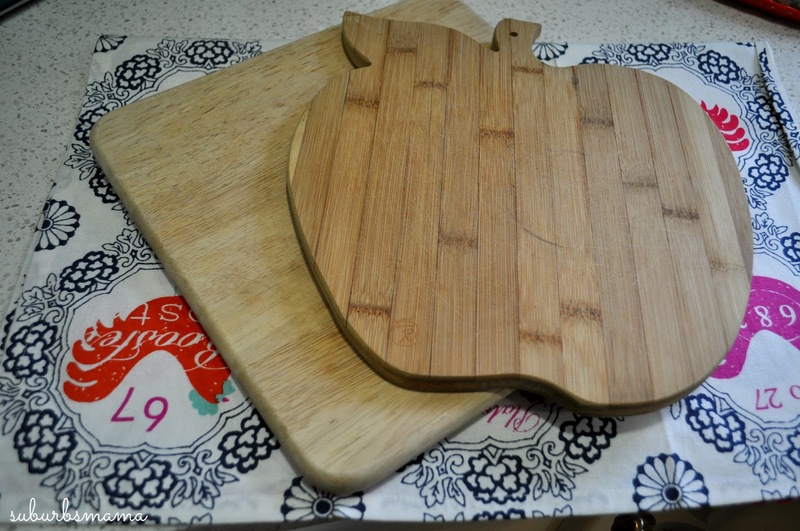 You should have atleast 2 cutting boards. A large one for prepping dinner items like meat and veggies and a smaller one for making breakfast items like cutting bagels, fruit. This way I know that my food will not stink will garlic or onions. I have gone through a lot of different knives and have gotten rid of most of them after I fell in love with Kai Pure Komachi knives. I buy them at costco. They are very light weight and come in assorted sizes. Everything I need to chop and slice. 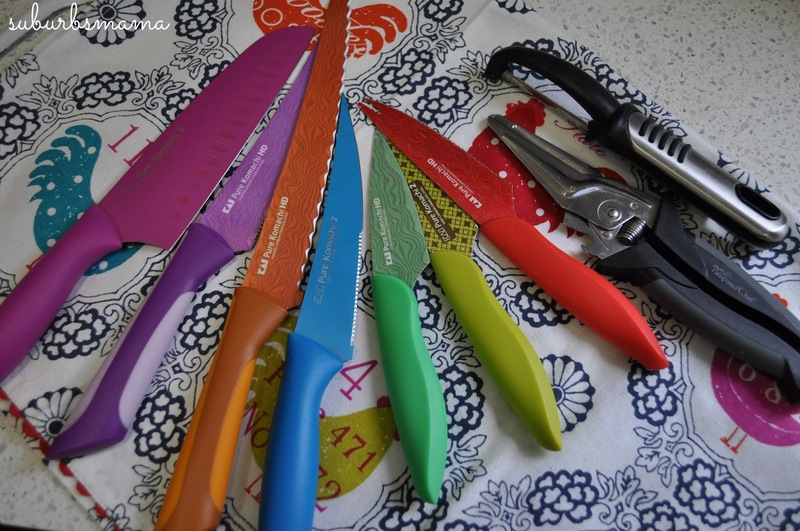 I also can not live without my veggie peeler and kitchen shears-these are form pampered chef and are my favorite. These are some of my daily used ones. 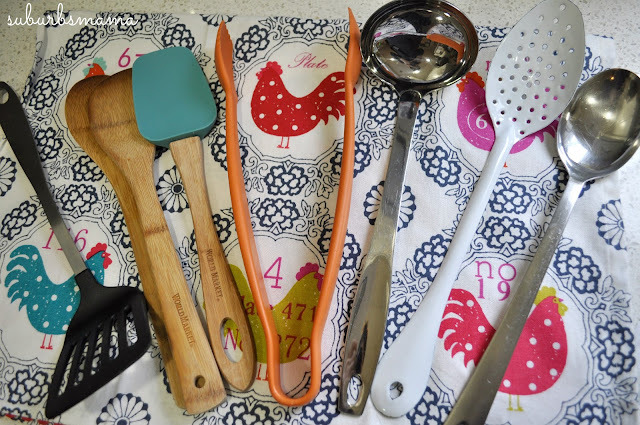 Plastic spatula for flipping eggs/sandwiches, wooden and silicone spatulas for stirring, heat resistant thongs, a paddle, slotted spoon and a serving spoon. I think that wraps it up. 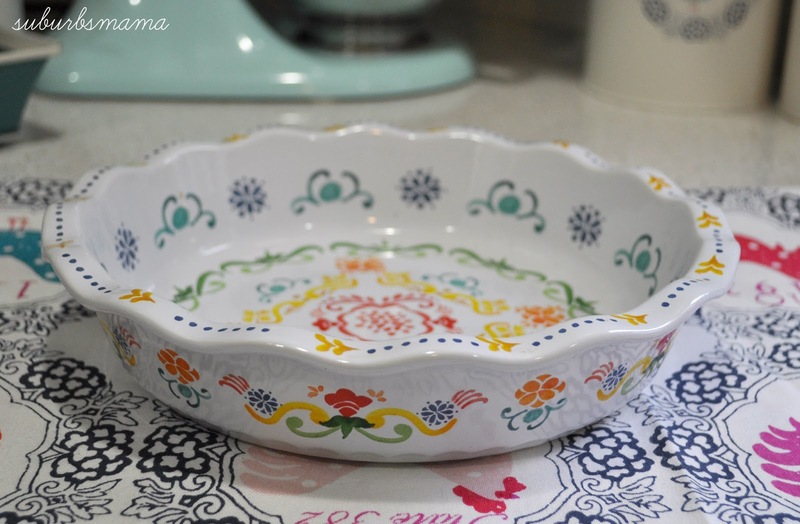 Next time I will talk about my favorite serving dishes, everyday dishes and utensils. Thanks for visiting, hope you have a great day. This is a great list. Too many women overload their kitchen with small appliances that they hardly ever use. If you get your core equipment and tools right, you actually don’t need that many fancy gadgets. The only thing I would add to your list is a non-stick griddle pain. 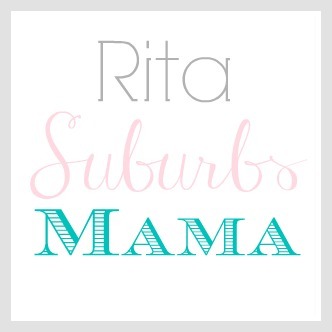 I absolutely couldn’t do without mine. I use it so much. Love your list. Looking forward to hear about your favorite dishes and serving pieces. Great list. 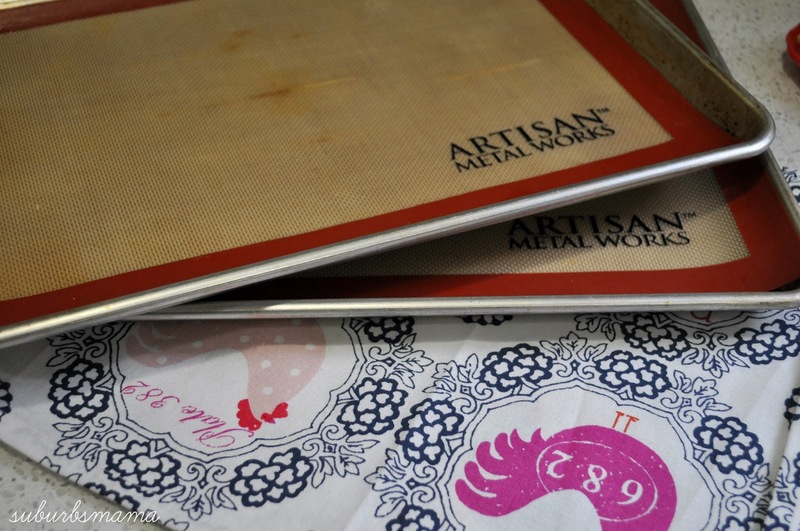 Looking forward to your ideas for dishes and serving pieces.